For an exotic stuffing, you can use oysters as one of the main ingredients to make your dish stand out. You can opt to make it on Thanksgiving to make the occasion more memorable and special. This particular recipe takes only about an hour to make (preparation and cooking time) – so, it would really be a good choice for a quick dinner recipe. Heat oil in a frying pan (medium high). Add the celery and onion and cook until tender. Add in the bread crumbs and parsley. Remove from heat and add the oysters, eggs, and salt and pepper (to taste). Stir in the oyster juice and mix well. Serve as stuffing to poultry dish. You will see that this recipe is actually a soup dish. However, when using oysters as the main ingredient, this recipe is more recognized as a stew (oyster stew, to be exact). This dish is very easy to prepare because it basically calls for throwing all the ingredients into the pot and cooking the recipe in minutes. The ingredients are few just as the steps needed to complete the dish are also few (as you will see below). In a pot, put in all the ingredients except the paprika and oyster crackers. Bring the mixture to almost boiling point (it would be better to keep it from boiling as the mixture can be foamy). When almost boiling, reduce the heat and allow the mixture to simmer for about 10 minutes. Serve with oyster crackers as topping. With canned oysters readily available in grocery stores (and online), you can make oyster pasta dishes any day of the week (and as often as you want). Again, this recipe is very easy to prepare. Boil pasta and drain when cooked. Heat up a pan (medium heat) and melt the butter. Add bread crumbs and cook until brown (and crunchy) then remove from heat. In separate pan, sauté the spinach and allow it to wilt. Add the oysters (including the juice). Add lemon juice, mix everything well, and remove from heat. Pour the mixture over the pasta and mix well. 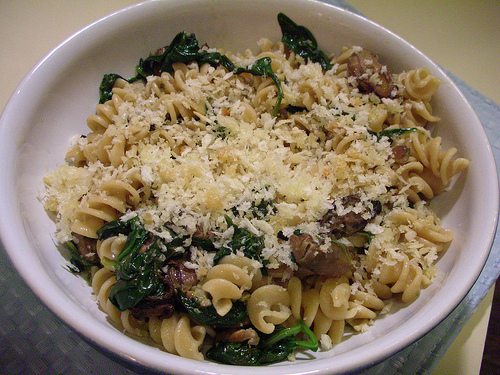 Serve by topping with Parmesan cheese. 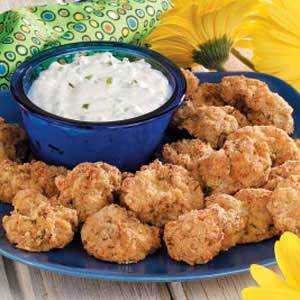 Crispy oysters make for great appetizers. 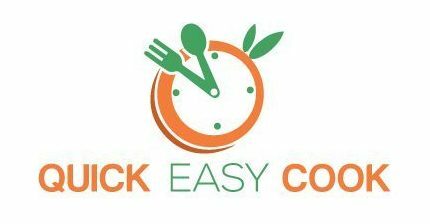 While it requires some time to prepare it, cooking time is actually very short (15 minutes or so). In a bowl, combine flour, salt and pepper and mix well. Get another bowl and combine the bread crumbs, Romano cheese, and parsley. Coat the oysters (one at a time) in the flour mixture. Dip the oysters in the egg mixture. Lastly, dip the oysters in the bread crumbs mixture. Place the coated oysters in a baking pan (1 layer) and drizzle with some olive oil. Bake at 400 degrees Fahrenheit for about 15 minutes (until golden brown and crunchy). Prepare the dip by mixing all the ingredients well. Serve hot and crispy with the dip. Here’s another crispy oyster recipe – but this time, the oysters are fried (not baked). Again, this recipe is very easy to prepare. Canned oysters (whole, rinsed, and drained). Rinse the oysters to remove excess salt, then drain. Arrange the oysters in a baking sheet (Amazon) and place in the freezer for about 30 minutes. In a bowl, mix the wet ingredients (eggs and milk). Get another bowl and combine all dry ingredients (and mix well). Get a frying pan and heat up some oil. Remove the frozen oysters from the freezer and dredge each one in the flour mixture. Dip the oysters in the flour mixture again. Drop the coated oysters in the heated oil (a few pieces at a time). Cook and flip the oysters until cooked (about 3 minutes, total). Remove from heat and drain off excess. 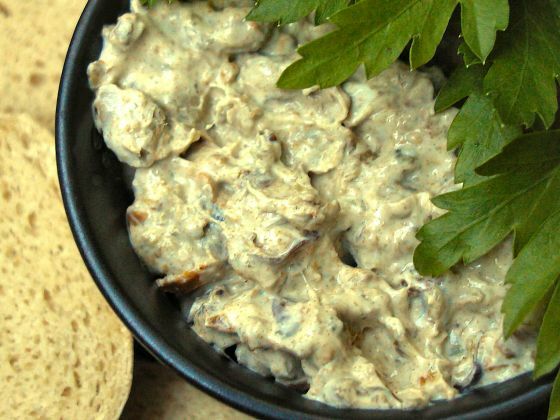 If you’re throwing a seafood party, serving smoked oyster spread will surely impress your guests. This is a very simple side dish that will go well with other seafoods. Drain oysters and chop into small pieces. In a bowl, combine chopped oysters, cream cheese, Worcestershire sauce, and hot sauce. 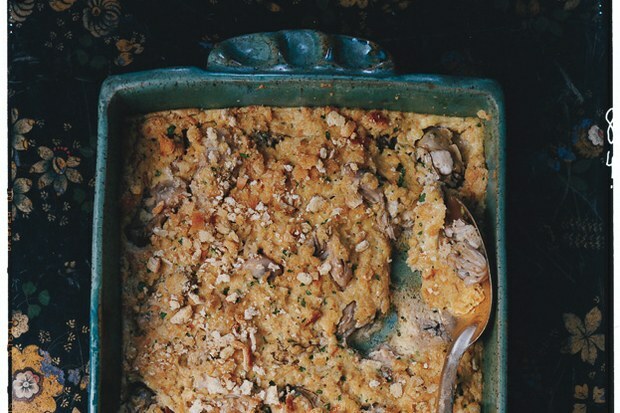 This oyster casserole recipe is easy to prepare and tasty as well. It only takes about 10 minutes to prepare and cooking it in the oven takes about 50 minutes (yes, we have another hands-off recipe here). Cut the oysters into small pieces and set aside. In another bowl, combine the cream, oyster juice, and Worcestershire sauce. Mix well. Spread half of the cream-style corn on the baking dish. Add a layer (half of the amount) of oysters onto the corn mixture. Spread another layer of corn over the oysters. Add the last batch of oysters over the corn. Pour the oyster juice mixture on top of the dish. Cover with aluminum foil and place inside the oven. 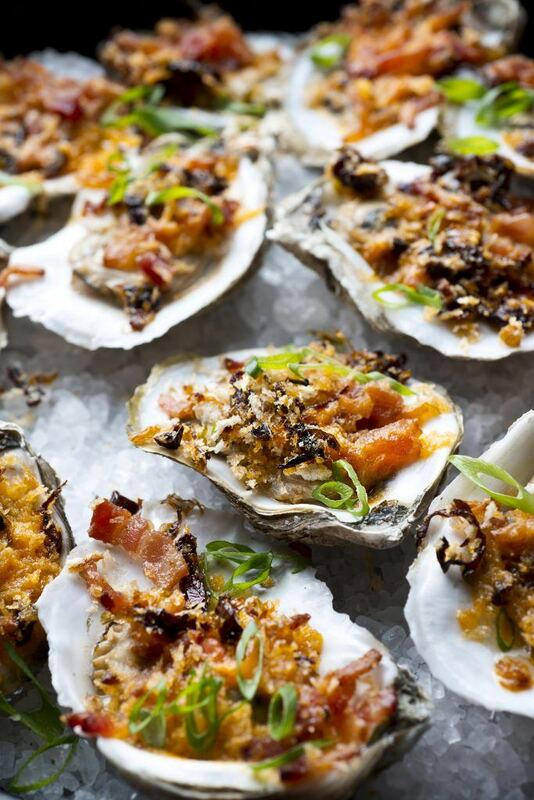 While fresh oysters are always recommended in recipes, you can use canned oysters as substitutes and create delicious dishes that will satisfy you. 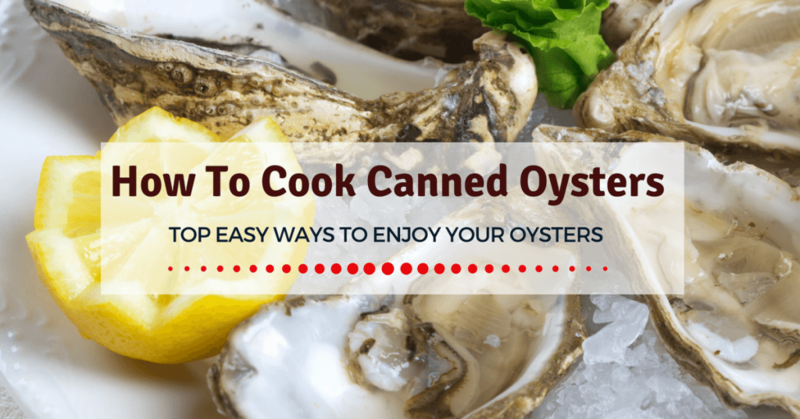 Consider the recipes above and try them out – you will discover that there are lots of ways to cook canned oysters and enjoy this exotic food. Let me know what you think by leaving a message below. Also, feel free to share this article with your friends.